Nothing strikes fear into the heart of americans like tax law. The reason is clear. Tax law is confusing. And the implications of misunderstanding or misapplying it can be severe. 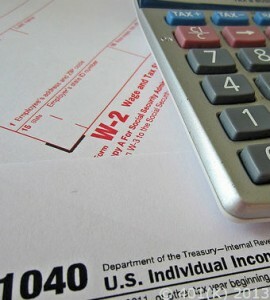 You’re not alone if you don’t understand tax law, especially as it relates to income. Einstein himself said the hardest thing to understand in the world is income taxes. Really? The E=MC squared guy didn’t get it? Doesn’t inspire a lot of confidence, huh? Your tax season has historically been frought with fear and anxiety. By empowering yourself with the tax law basics, April 15th will be just another day this year. Tax law provides that the following income is not taxable under certain conditions. Schooling: Qualified scholarship income is usually not taxable. Certain other costs, such as tuition and mandatory course books are also not taxable. Amounts used for room and board are taxable. Life Insurance Proceeds: Life insurance proceeds received because of an insured person’s death is typically not taxable. If you redeem a life insurance policy for cash, any amount that is more than the cost of the policy is taxable. All income earned from an employer is taxable, unless tax law specifically excludes it. This includes wages, tips, salaries, commissions, and fees for personal services, in addition to other “non-cash” forms of compensation like stock options, fringe benefits and bartering. We’ve seen a lot of confusion over the years in our tax law practice concerning these and other special tax law considerations. Employee stock options can be popular and attractive – depending on the company offering that is. If you receive an option to buy or sell stock or other property as payment for services rendered, current tax law provides that you may have taxable income when you receive, exercise (buy or sell the stock), or otherwise dispose of the option. Tax law rules divide stocks into statutory and non-statutory which have other special timing and valuations considerations. There are very special and complex tax law rules concerning fringe benefits. Benefits received in connection with the performance of your services is considered taxable income, unless you pay the fair market value for it, or there is a specific exclusion. Abstaining from performing services, such as covenant not to compete, is treated as performance of services under current tax law rules. Bartering (or “this for that”) under tax law is an exchange of property or services. Both parties to a bartering transaction must include the fair market value of the goods or services received as income on their tax return.